EL PASO, Texas – The Friends of the University Library of The University of Texas at El Paso have selected the winners of the 15th Carl Hertzog Award for excellence in book design. Taking the top honor was “Loom,” a book designed by Richard Wagener and David Pascoe of California. Judges also selected “On Physical Lines,” designed by Sara Langworthy of Iowa City, Iowa as first runner-up. Second runner-up was “Two Lives,” designed by Kimberly Maher of Coralville, Iowa. Honorable mention went to “An Alphabet of Sorts” designed by Jennifer Farrell, and “Anatomia Botanica” (in its deluxe edition) designed by Radha Pandey. The winning entry “Loom” is a unique collaborative piece for which poet Alan Loney wrote text inspired by Wagener’s wood engravings that seem to display fragments of woven fabric printed on blocks of color. Pascoe of Nawakum Press designed the book’s binding. Pascoe first studied letterpress printing and book design at the Feathered Serpent Press in San Anselmo, California under artist, cartographer, author and book designer Don Greame Kelley. 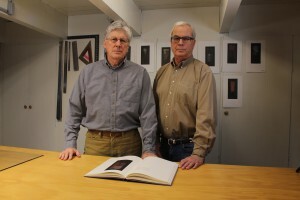 He established Nawakum Press in 1979, where he publishes handcrafted, fine press and artists’ books in limited editions. The press both originates and manages its own concepts, while also collaborating with authors and artists. 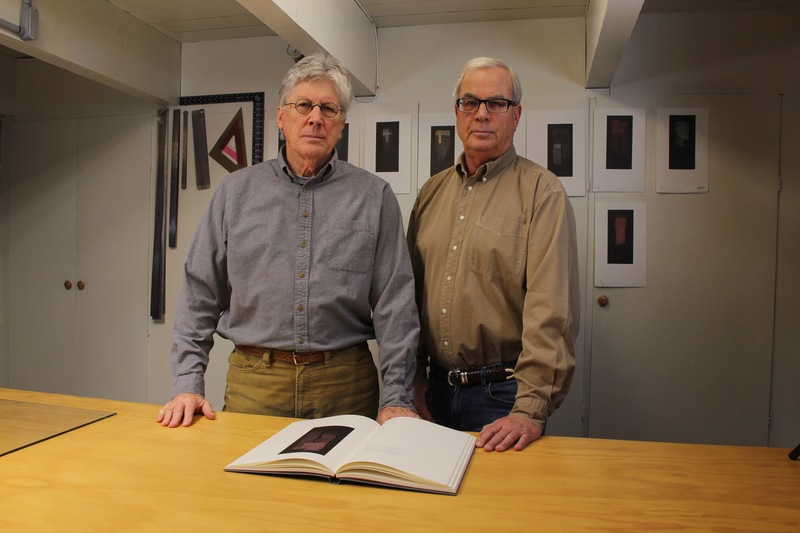 The Carl Hertzog Award for excellence in book design was created to acknowledge the art of fine printing, encourage work by new and established artisans and honor the craftsmanship as well as the visual and physical elements of books. This year, 47 entries were submitted to vie for this distinguished award. The award will be presented to the winners at a ceremony on Hertzog Day, March 13. The winning designers will receive a cash prize and specially struck medallions. The winning book, runners-up, honorable mentions and other selections from the submitted entries will be on display in the University Library.